It is a plastic model shop. Our shop is an old toy specialty shop around the 1960s. 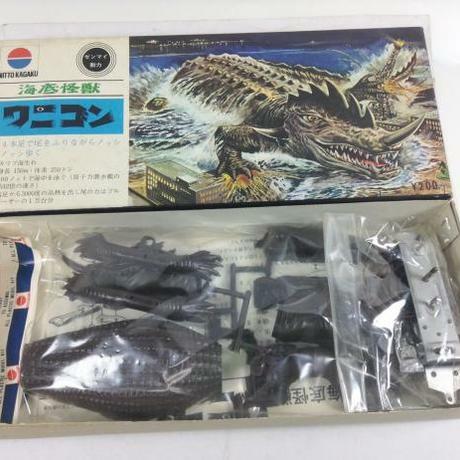 We will send out to the world a toy with excellent completion made in Japan entitled "MONOZUKURI Japan made in japan". 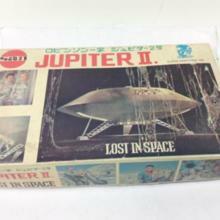 [en] Space family Robinson Jupiter No. 2 spiral line version · The size of the box is 152 × 254 mm. 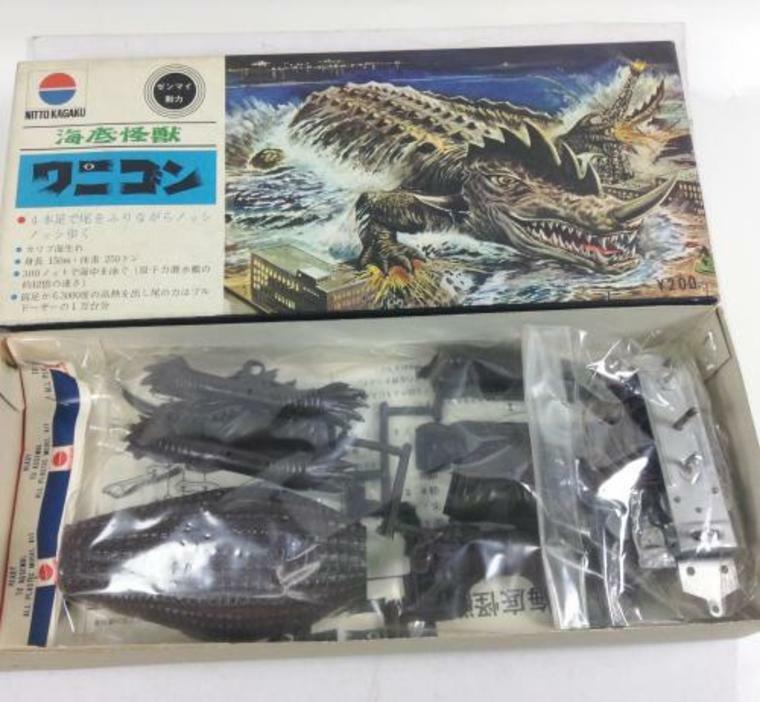 · Unopened main body unassembled body. There is a small crack on the side of the box. It is an unusual gem. Come at this opportunity! 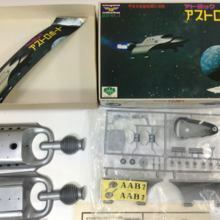 Unassembled out of print Plamo Retro * We are also selling stores. Please message before purchasing because it is a one-point thing. 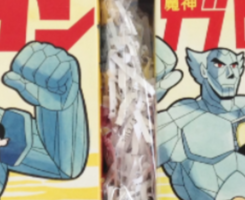 [en] Out of print Plamo Nitto Wanigon 1960's first edition Power spring · unassembled item · The size of the box is 115 × 270 mm · It is a price of 200 yen at that time It is a vintage rarity! 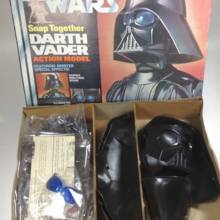 [en] Star Wars Darth Vader mpc 1978 Yearning Lighting Bust Plastic Model Rarities · It is a vintage plastic model of 37 years ago. · Box size: 440 × 330 mm. The body is 10 3/4 inch. · Pull the string, the eyes light up. It is an unusual gem! ! 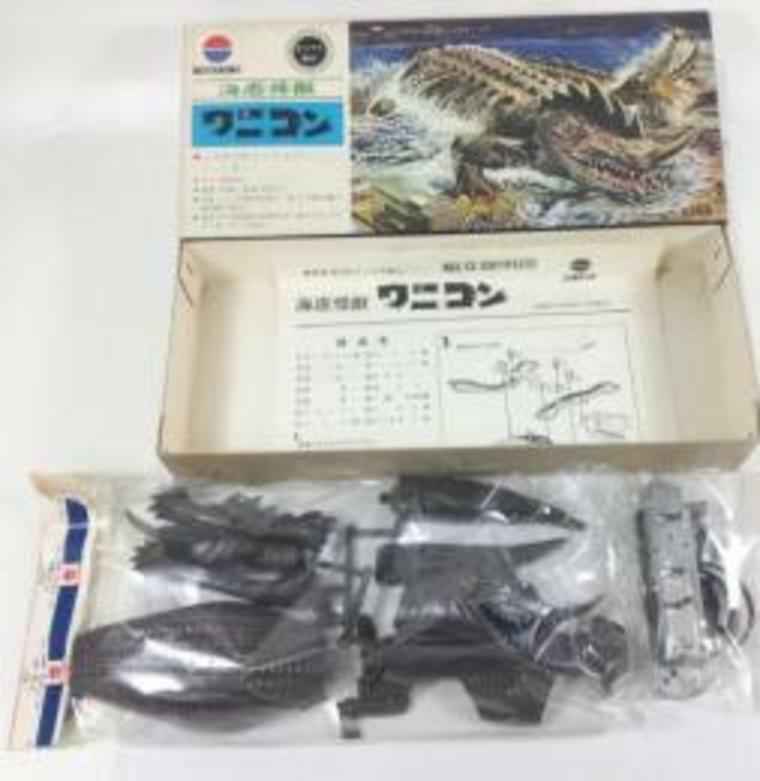 Out of print Plamo Nitto Wanigon 1960's first edition Power spring · unassembled item · The size of the box is 115 × 270 mm · It is a price of 200 yen at that time It is a vintage rarity! Fuera de la impresión Plamo Nitto 1960 Wanigon de potencia primer resorte de edición y un tamaño de montaje de la caja intacta de 115 × es 270㎜ - Es 200 yenes precio de las curiosidades de la vendimia en el momento! Out-of-print Plamo Nitto Wanigon 1960 puissance de premier ressort de l'édition et une taille assemblage boîte intacte de 115 × est 270㎜ - Il est de 200 yens prix de curiosités d'époque à l'époque! 절판 프라 닛토 와니곤 1960 년대 초판 태엽 동력 미 조립품 · 상자의 크기는 115 × 270㎜이다 · 당시 가격 200 엔 빈티지 호기심입니다! 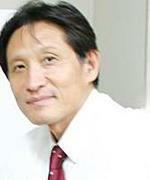 ออกจากพิมพ์ Plamo Nitto Wanigon ปี 1960 พลังงานฉบับฤดูใบไม้ผลิครั้งแรกและเหมือนเดิมขนาดชุมนุมกล่อง 115 ×เป็น270㎜ - มันเป็น 200 เยนราคาวิทยากรวินเทจในเวลา! Out-of-in Plamo Nitto Wanigon năm 1960 công suất ấn bản đầu tiên mùa xuân và một nguyên vẹn kích thước lắp ráp hộp 115 × là 270㎜ - Đó là 200 yen sự tò mò Vintage giá vào thời điểm đó! Out-of-print Plamo Nitto Wanigon 1960 alimentação primeiro Spring Edition e um tamanho de montagem de caixa intacta de 115 × é 270㎜ - É 200 ienes preço curiosidades do vintage no momento! Out-of-print Plamo Nitto Wanigon 1960 alimentazione prima molla edizione e una dimensione di catena di montaggio scatola intatta di 115 × è 270㎜ - Si tratta di 200 yen curiosità d'epoca prezzo al momento! Out-of-cetak Plamo Nitto Wanigon 1960 edisi pertama musim bunga kuasa dan utuh saiz pemasangan kotak 115 × adalah 270㎜ - Ia adalah 200 yen curiosities vintaj harga pada masa itu! الخروج من طباعة Plamo نيتو Wanigon 1960 قوة الطبعة الأولى ربيع وسليمة حجم علبة تجميع 115 × هي 270㎜ - وهو 200 ين السعر خمر العجيبة في ذلك الوقت! Распродано Plamo Nitto Wanigon 1960-х первое издание весна сила и неповрежденный размер сборки коробка 115 × является 270㎜ - Это 200 иен старинных раритетов цены в то время! Out-of-print Plamo Nitto Wanigon 1960 första upplagan fjäderkraft och en intakt enhet-box storlek 115 x är 270㎜ - Det är 200 yen vintage kuriosa pris på den tiden! Out-of-print Plamo Nitto Wanigon 1960 erste Ausgabe Federkraft und eine intakte Montage-Box-Größe von 115 × ist 270㎜ - Es ist 200 Yen Jahrgang Kuriositäten Preis zu der Zeit! Out-of-print Plamo Nitto Wanigon 1960 Power pierwsza edycja wiosna i nienaruszone rozmiar montaż skrzynki z 115 × jest 270㎜ - Jest to 200 jenów archiwalne rarytasy cena w tym czasie! Out-of-print Plamo Nitto Wanigon 1960 første utgave våren makt og en intakt samleboks størrelse på 115 × er 270㎜ - Det er 200 yen vintage kuriositeter pris på den tiden! Out-of-print Plamo Nitto Wanigon 1960 første udgave foråret magt og en intakt montage-box størrelse på 115 × er 270㎜ - Det er 200 yen vintage kuriositeter pris på det tidspunkt!